Today's ink is Colorverse #14 Supernova from Season 2 Astrophysics. Thanks to Pen Chalet for sending a sample over for review. 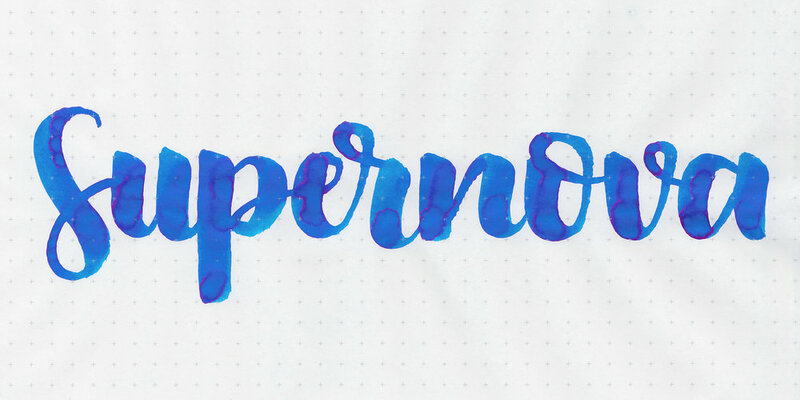 Supernova is a gorgeous summery blue with some pink sheen. In large swabs there is some dark pink sheen. Other properties: high shading, high sheen, and no shimmer. There was sheen in every nib size on Tomoe River and Leuchtturm, and a little bit in the flex nib on Rhodia. Ink swabs for comparison, left to right (top to bottom for mobile RSS): Monteverde Capri Blue, Colorverse Supernova, and KWZ Azure #3. Capri Blue is really close in color, but it has less shading and less sheen than Supernova. Click here to see the Colorverse inks together. Robert Oster Soda Pop Blue, Blackstone Barrier Reef Blue, and Diamine Florida Blue. Click here to see the blue inks together. I used a medium Lamy Safari Petrol on Midori MD paper. The ink had an average flow. Overall, it's a lovely color, has high shading and high sheen so I'd say it's a winner. 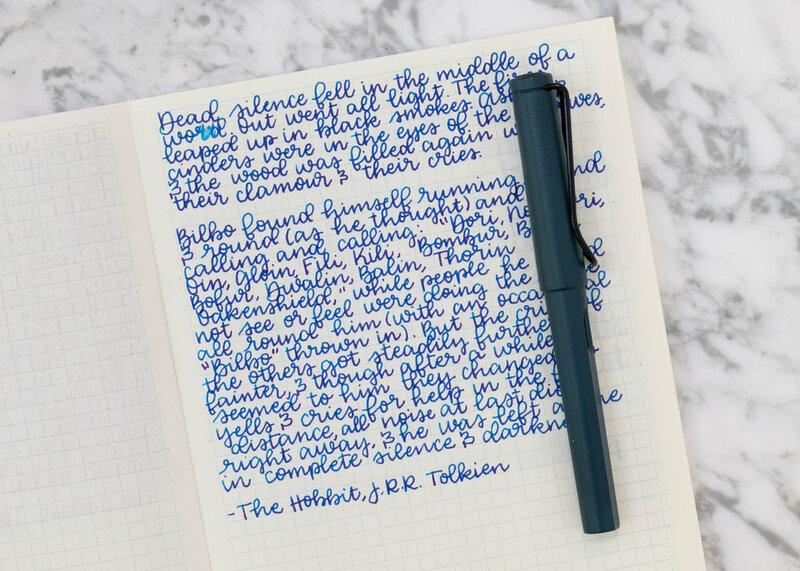 If you're okay with less sheen and are looking for a more affordable option, give Monteverde Capri Blue a try. Disclaimer: A sample of this ink was provided by Pen Chalet for the purpose of this review. All photos and opinions are my own. This page does contain affiliate links, but is not sponsored in any way.